HCM City (VNA) – The transportation sector must work closely with law enforcement agencies to bolster the fight against wildlife crime and reduce demand for wildlife consumption, experts said at a two-day workshop that ended on August 12 in HCM City. “This workshop will give key transport and logistic enterprises in Vietnam knowledge, resources and support so that they can minimise the reputational risk of being implicated in wildlife crime,” said Madelon Willemsen, Head of TRAFFIC in Vietnam. Over 80 participants from 33 logistic companies, including members from the Vietnam Association of Transportation and Automobiles, and government departments, including the Forest Protection Departments and Customs, learned about the importance of conservation and ways they can have the most impact to support conservation in their fields of work. Participants were shown how they can protect their reputation by implementing corporate social responsibility policies and a code of conduct to integrate zero-tolerance towards the consumption of threatened wildlife. The event was an important element of TRAFFIC’s efforts in Vietnam to combat the illegal wildlife trade through partners such as Vietnam Chamber of Commerce and Industry (VCCI) to engage the private sector. Workshop participants received training on the modus operandi of criminals trafficking endangered wildlife. Presentations were made by representatives from the Management Authority of CITES (the Convention on International Trade in Endangered Species of Wild Fauna and Flora) concerning national and international wildlife trade regulations. In addition, the Cu Chi Forest Protection Department provided insights into the species being rescued from illegal wildlife trade in Vietnam. The sharing of each companies’ experiences and knowledge on how to identify illegal shipments, and how to provide the means to integrate corporate social responsibility into their policies, provided a strong foundation for this sector to curtail the illegal wildlife trade. A network of connections between enterprises and law enforcement agencies was created, facilitating opportunities for better information exchange that should result in more effective enforcement of the wildlife trade by authorities. “Logistic and trade organizations are an important line of defence against the illegal trade of wildlife. 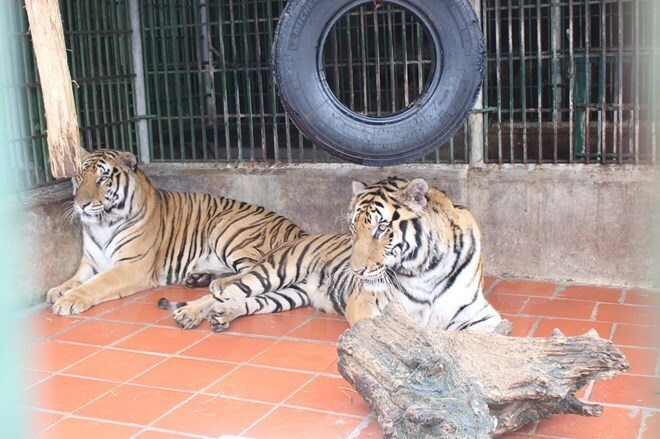 We must engage these companies to ensure that they have the necessary tools to stop the flow of endangered species to, and within, the country,” said Vuong Tien Manh, Deputy Director of Vietnam’s CITES Management Authority. The Chi social corporate responsibility toolkit developed by TRAFFIC provides guidance on how to integrate a zero-tolerance approach towards threatened wildlife consumption and combat the illegal wildlife trade in Vietnam’s private sector and civil society organizations.